Adan isn’t sure what happened. 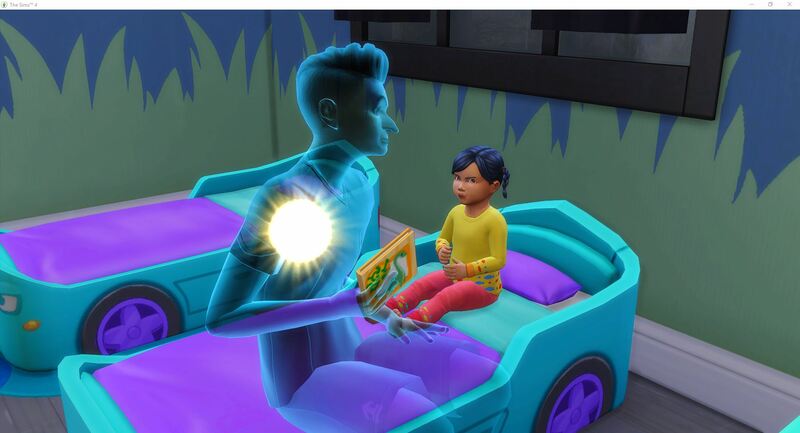 He was talking to Desire about the fact that she is going to have a baby. Then she poofed away and suddenly he is talking to Malice about how she doesn’t like flies. And then he has absolutely no idea what happened next. 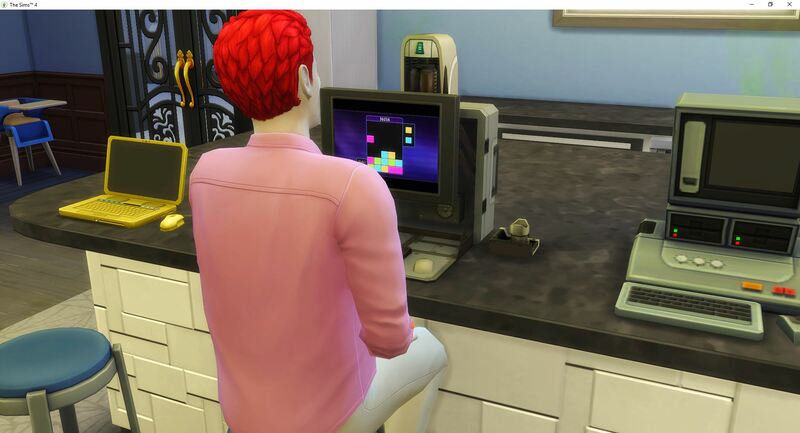 Venom comes home from work very stressed and tense so he plays a game until he feels better. 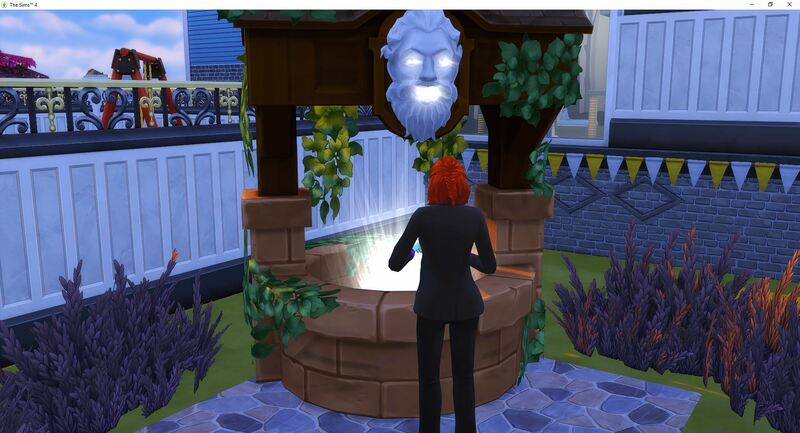 Then he throws away §5,000 just to make sure the wishing well still isn’t working for the military career. Since he has two days before he goes back to work, he will spend it authenticating artifacts and working on the family museum. 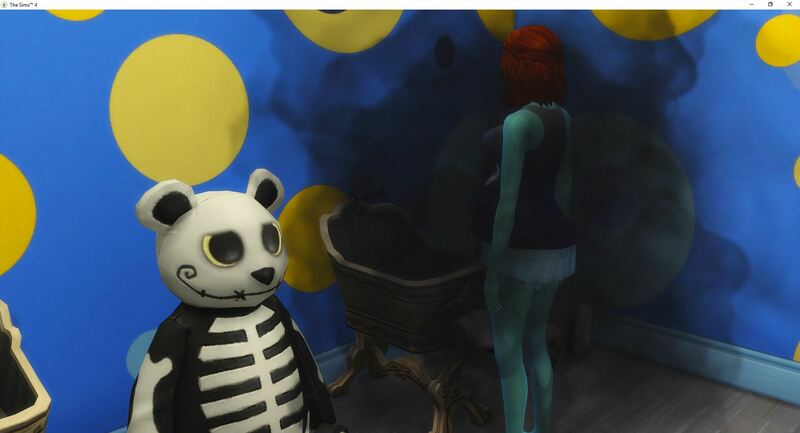 Malice and Avarice will take turns destroying and repairing the dollhouse, literally back to back. Raven just watches the destruction. She has her own methods, which are actually more destructive since it takes funds away from the family to repair her damage. 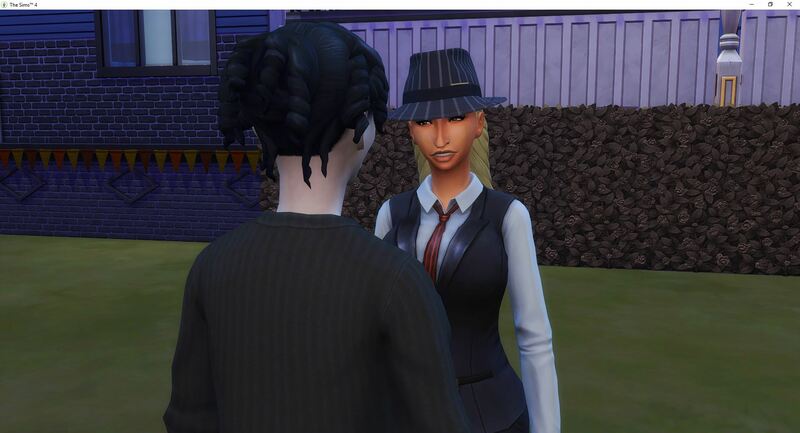 Desire is now a Lead Detective, level 5. 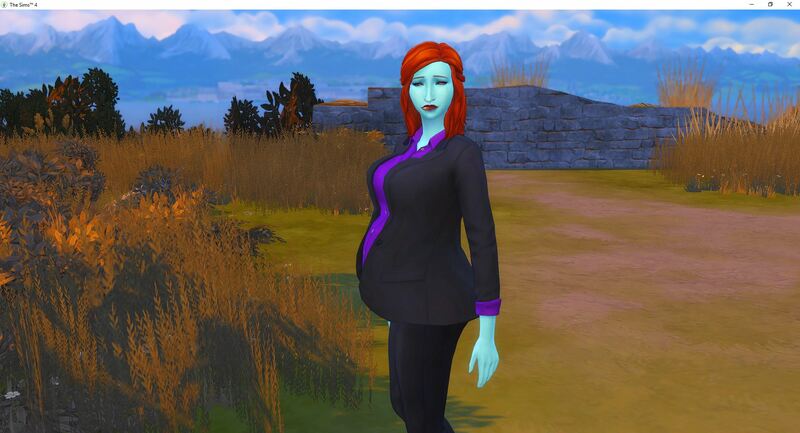 She also just entered the second trimester of her pregnancy. 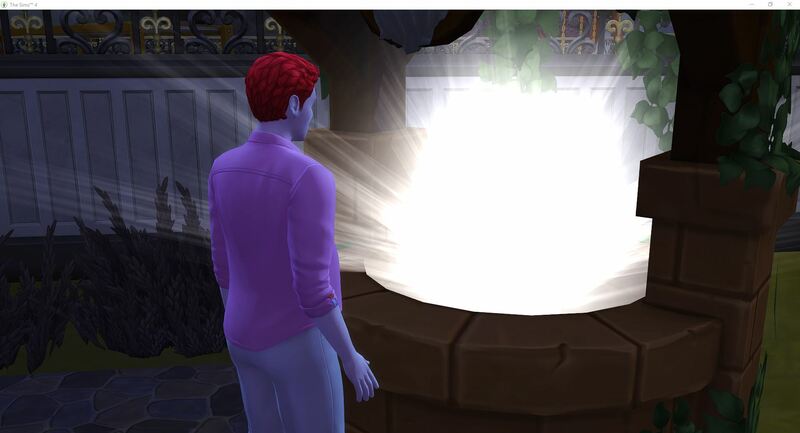 Since she is in a good mood, it is time to hit up the wishing well to see what she gets in the way of a promotion or performance boost. 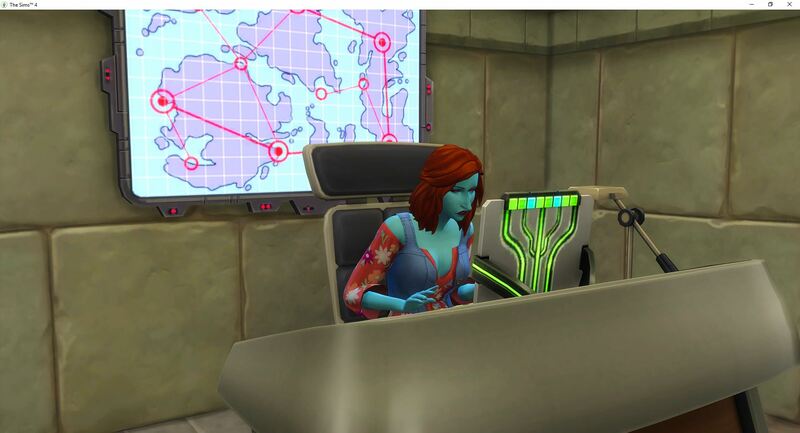 This is a rare occurrence – she actually gets an immediate promotion to Government Agent, level 6. This is a shock – and I missed the picture. 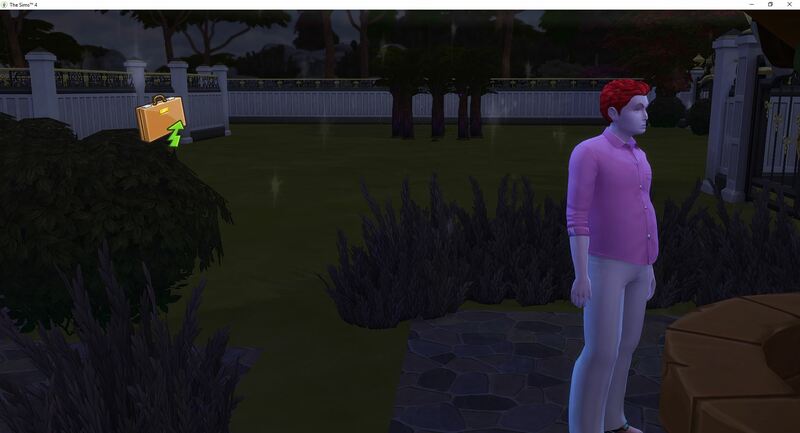 Venom was desperate and threw more simoleons into the well – and he received an instant promotion that actually worked. 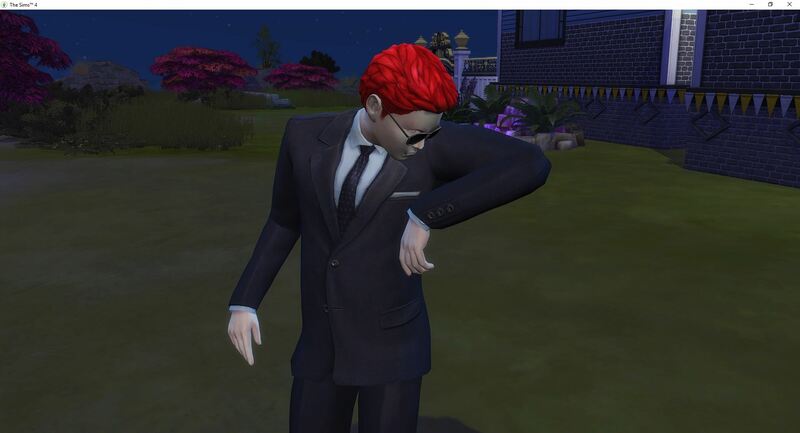 Sim-in-Black. Level 10. Military is complete. 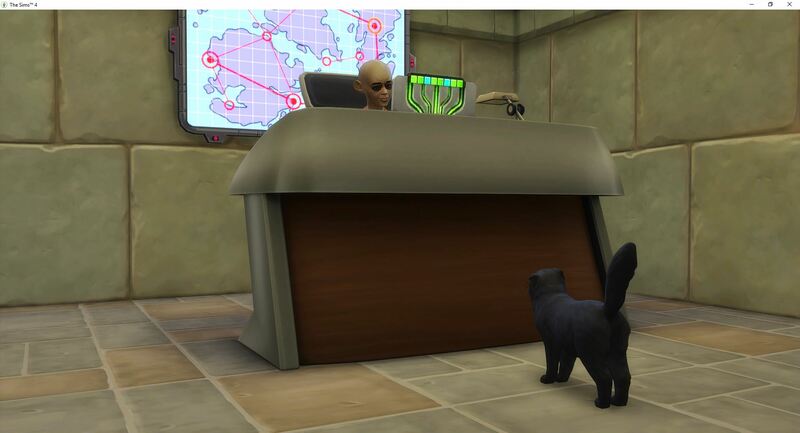 That makes five of the required six careers are maxed, leaving only Secret Agent remaining. Desire is at level 6 and climbing fast. 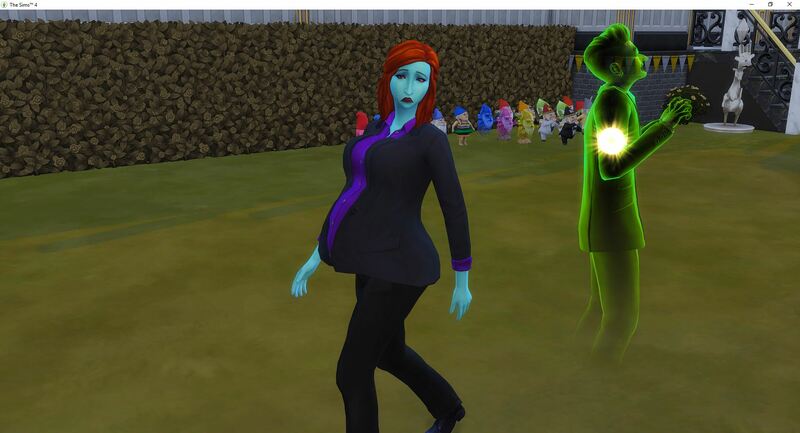 She is close to giving birth to the last generation of the challenge. 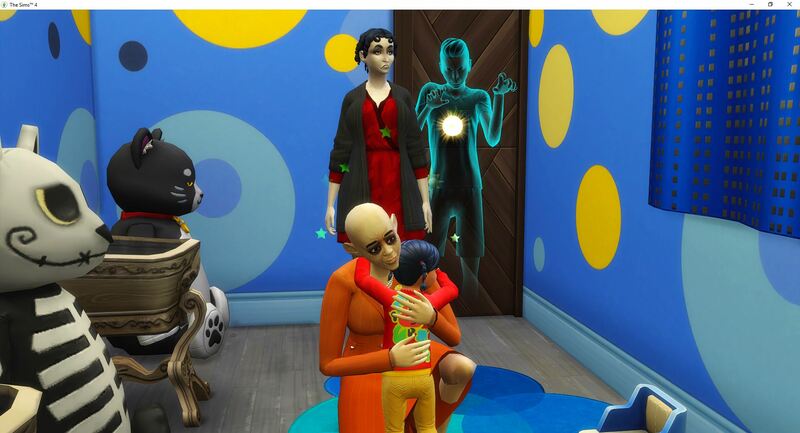 While they wait for the new baby, Venom is still working on catching up on all of the artifacts. Everyone else is free to roam at will, and no one sleeps so speed 3 is non-existent. 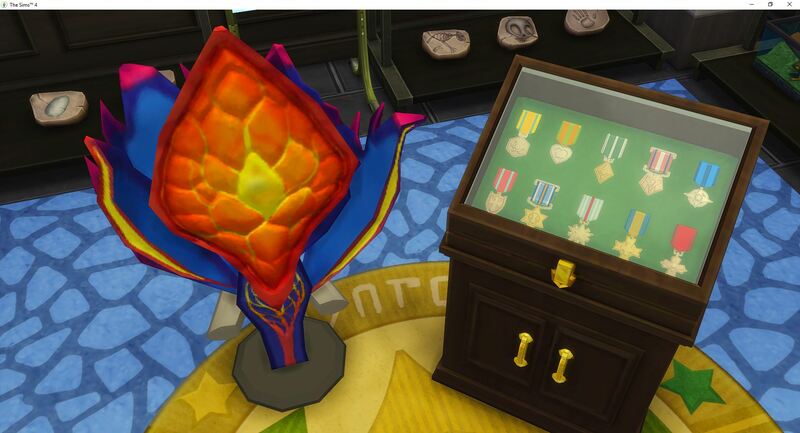 Venom received a large trophy when he completed the mystery of StrangerVille and he has a cabinet full of medals from his career in the Military. These are both in the museum with the rest of the family’s treasures. They have had to expand the museum from the original size to accommodate everything they have collected. 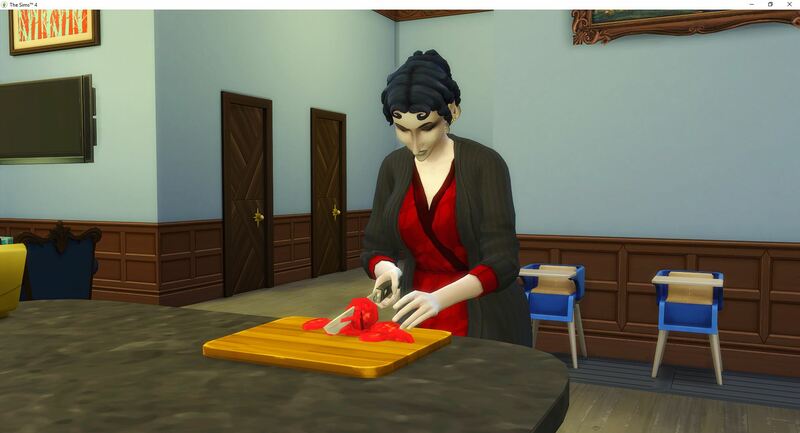 Avarice is making spaghetti. Why, you might ask since she can’t eat anything due to her withered stomach. No clue. 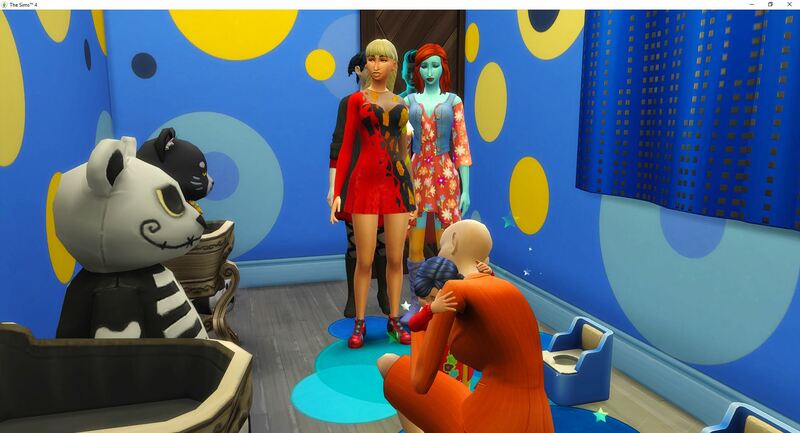 Vanity invites Father Winter over for dinner. 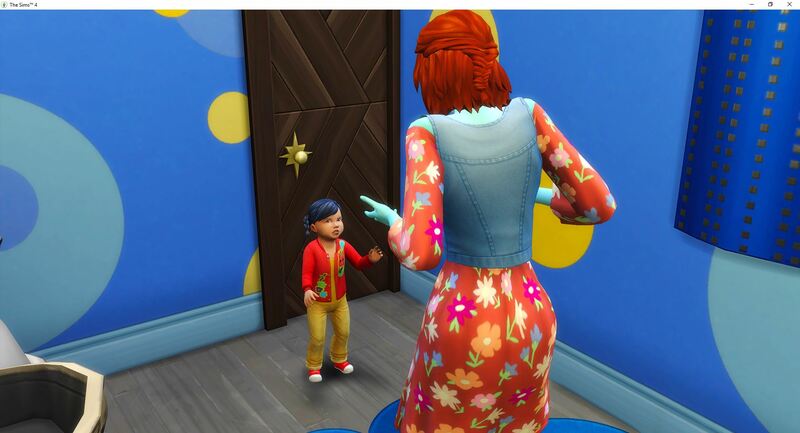 He doesn’t age so he is the only remaining sim in her contact panel that has never died off. Well damn timing to hell. Desire was ready for a promotion and three more hours at work would have gotten it too. 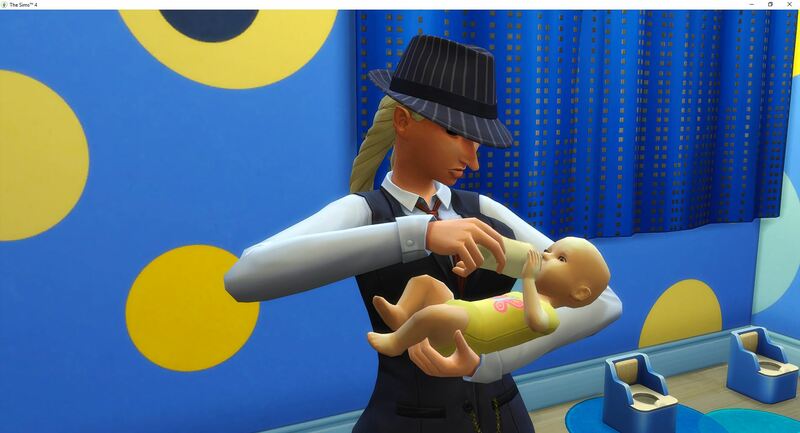 But instead, she has come home early from work because she is in labor. Then Venom’s boss calls and gripes because he couldn’t find any more evidence about the mystery (because the mystery was solved – a glitch where the work at home task can’t be completed once the mystery is solved). 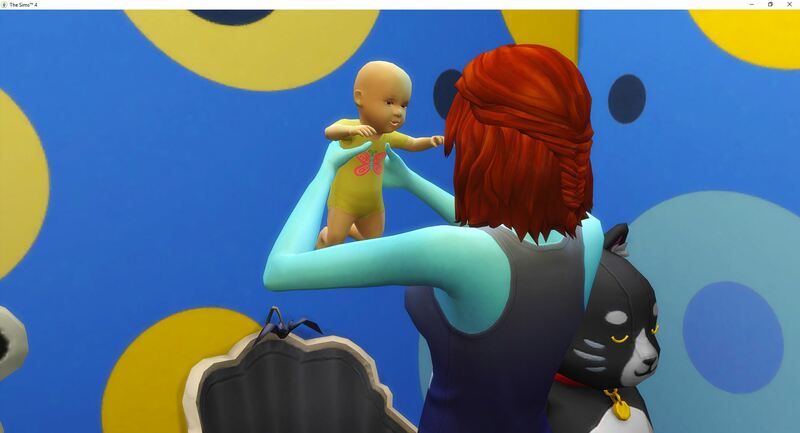 But, it is time for a baby, the last monster of this challenge to join the madhouse. It would have been awesome to get a blue-skinned monster, but whatever. 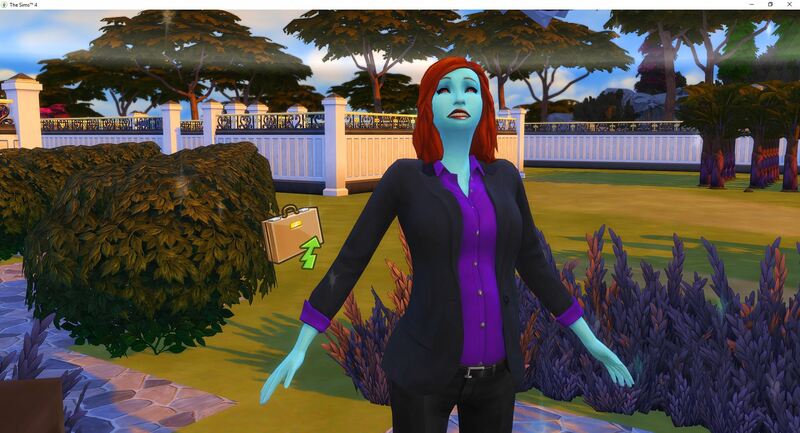 Voracity Proud is generation five, and she begins the countdown to the end. The challenge is over when she becomes a Young Adult – so about five game weeks remain. Even though Venom has reached level 10 Military, because he had the bad performance the previous shift, he is working his daily task to make sure he gets his performance up at least initially. Then he will ignore it like everyone else. 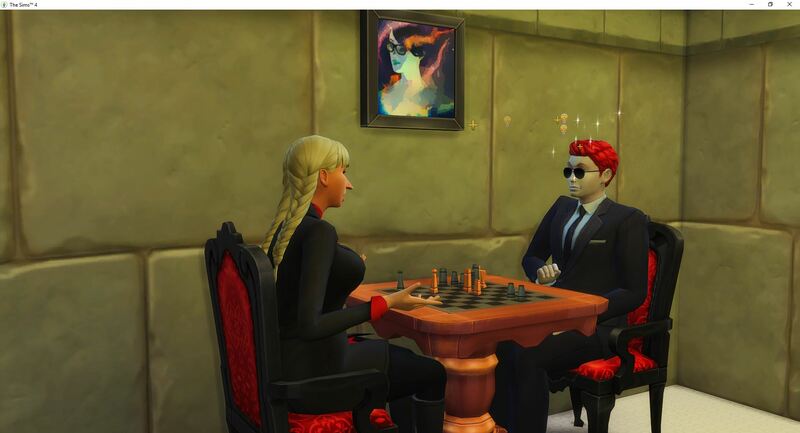 Also, the painting above the chess table is a masterpiece painted by Larceny. They are scattered all over the dungeon as Larceny feels moved to paint. 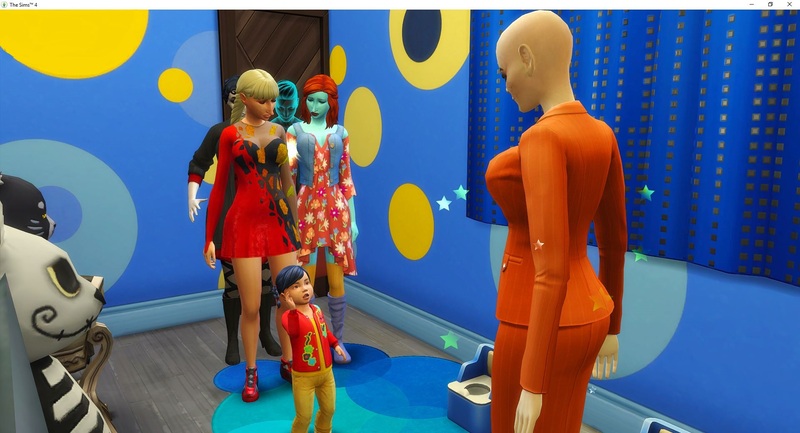 Harvestfest comes and goes. 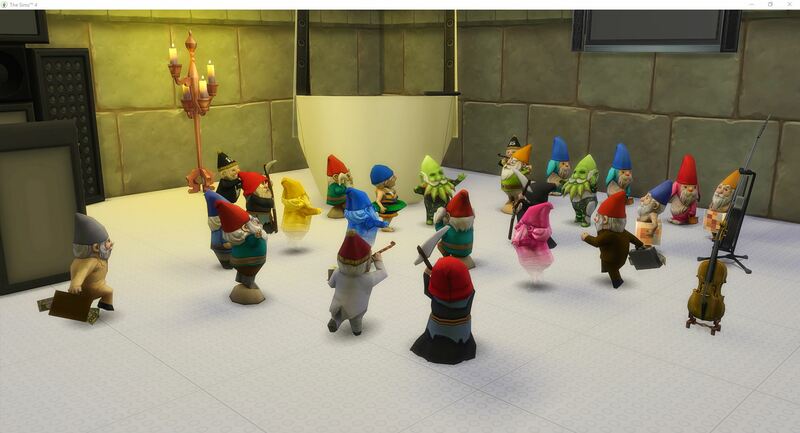 They are only appeasing gnomes to complete traditions and then deleting them because of the damn seed packs. There are still 21 gnomes on the lot after the holiday is over. 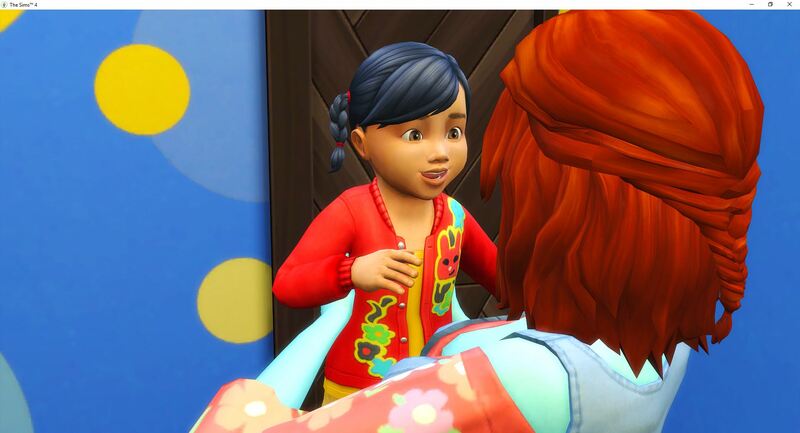 They are celebrating even though there will probably be one more year, one more Harvestfest, and if my math is close, the challenge will end during winter in one year, so between Winterfest and New Year’s. 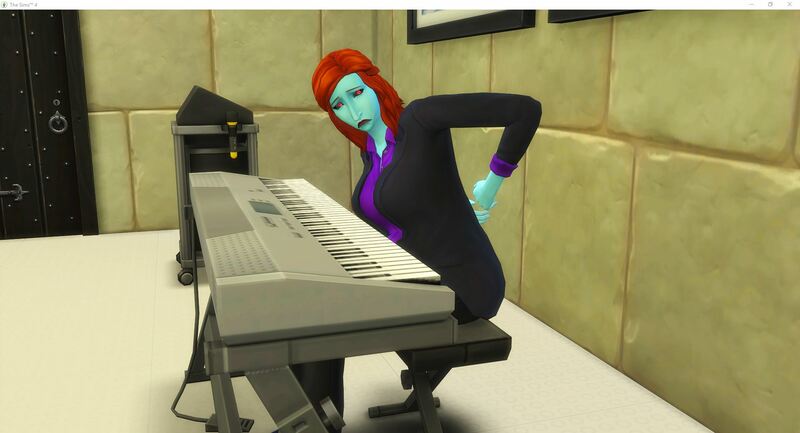 Desire went to work after Harvestfest was ended early and she was able to get her performance back into the “yes, promote” range. But when her day ended her performance dropped and there was no promotion. Taking a chance, she went to the well. 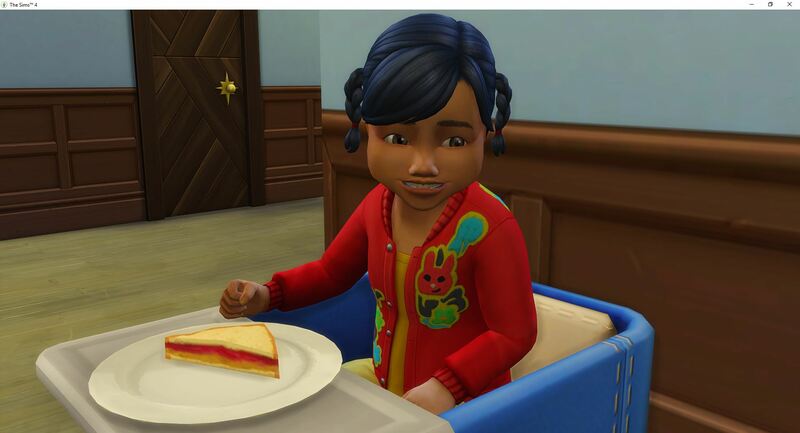 She ate a cerebrerry first so that she was focused and then she made an offering and then she made her wish. 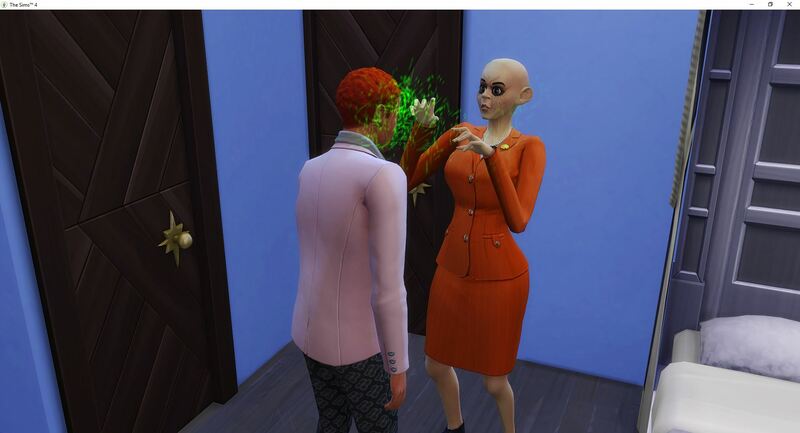 She received the promotion she should have received at the end of her work shift. Secret Agent, level 7. Malice and Avarice appear to be having a standoff. 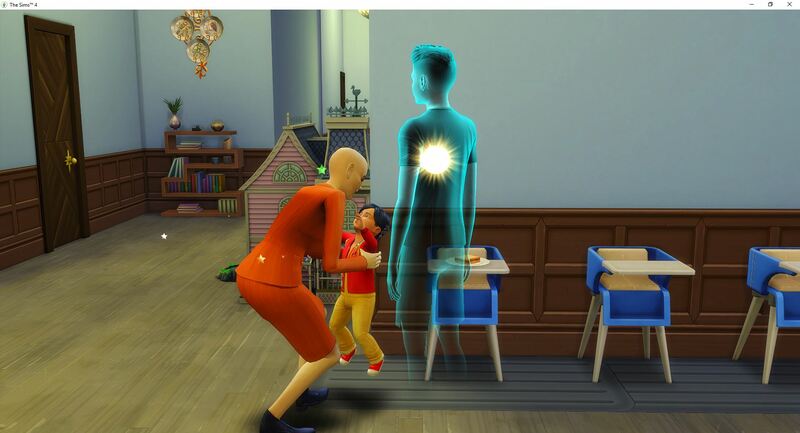 But they are just going into or coming out of a hug. Or maybe Avarice was thinking about hugging Malice but changed her mind. 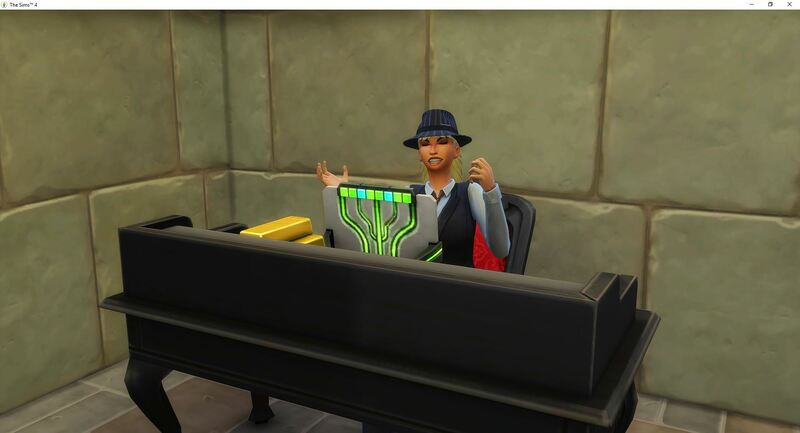 After their hug-close-call, Avarice retreats to her office to troll the forums. Not sure which forums though. Malice is also trolling the forums. I wonder if they are trolling each other. And so is Vanity. Hopefully they are trolling different forums, and they are not the spammers that keep trying to register with Boolprop. 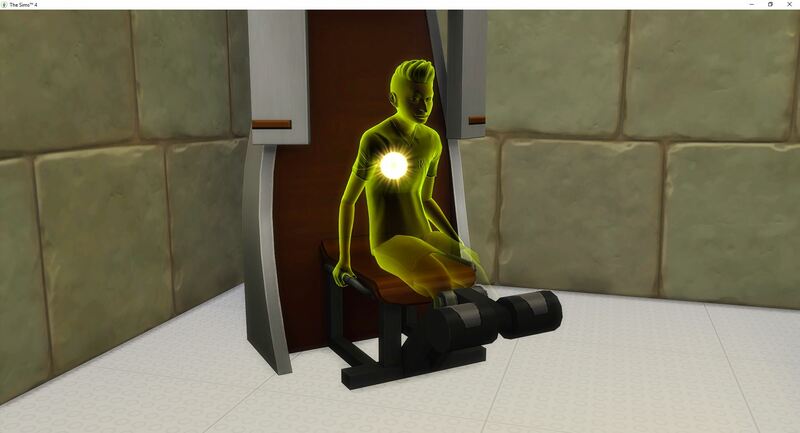 Larceny is in the gym working on his ghostly muscles. 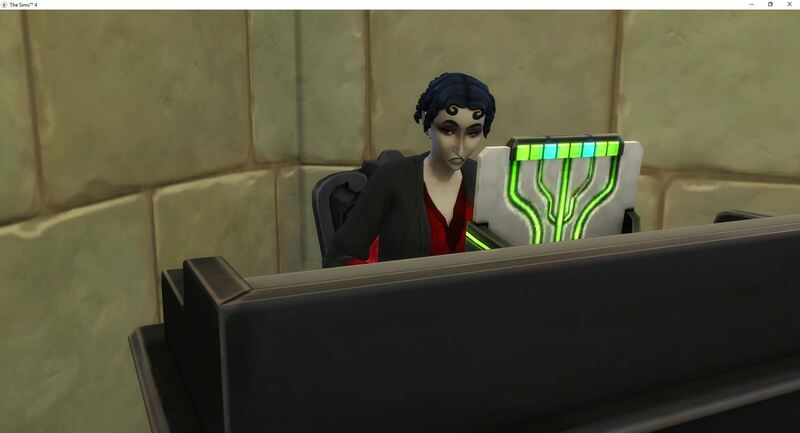 Raven is curious as to why Vanity is using Desire’s computer instead of her own. 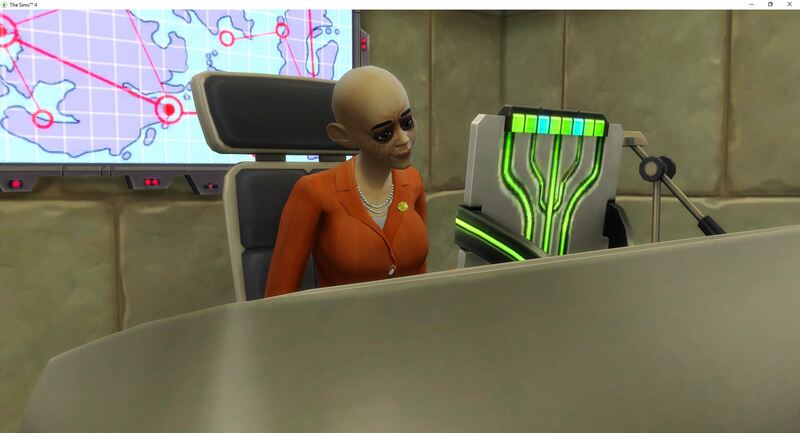 Avarice and Malice are using the computers in their own offices, which is actually amazing as the doors are not locked to the specific owner. 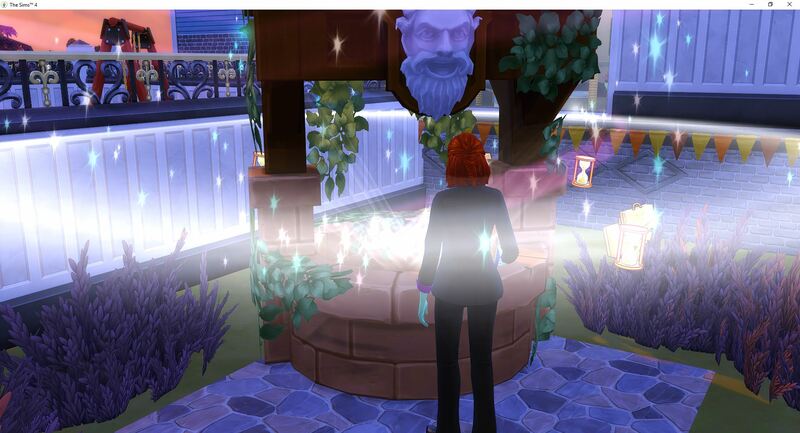 Desire makes an unsuccessful trip to the wishing well and then heads into her office. 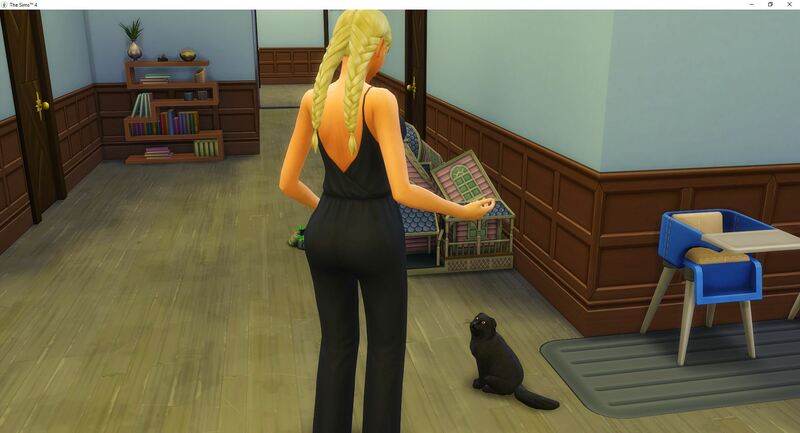 Things seem a little out of place, but she does live in a mansion with a lot of other sims and a cat, so she doesn’t think too much of it. 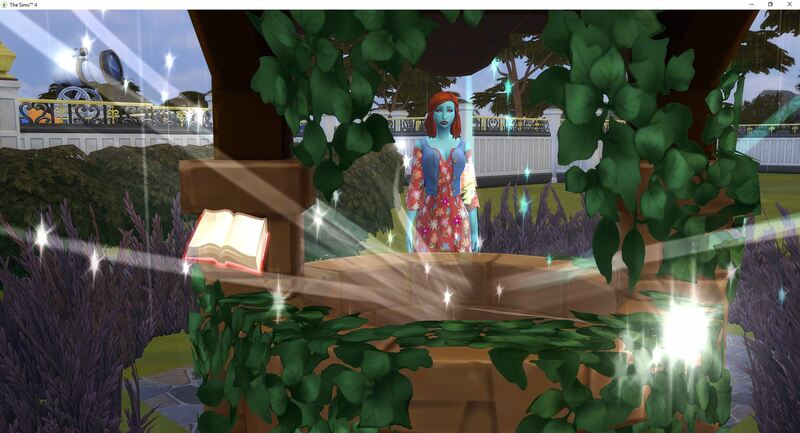 Besides she is still angry about the stupid wishing well not granting her wish. 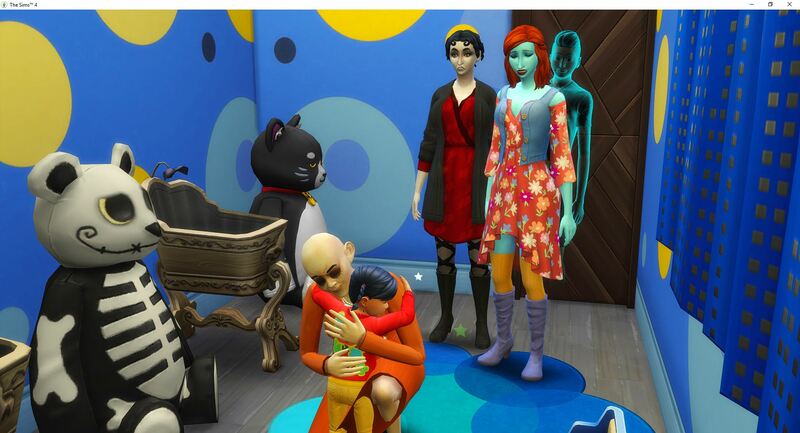 Grandma Malice comes to the rescue with a bottle for the littlest monster. Desire hits up the well once again and she will take a guaranteed promotion on her next work shift. 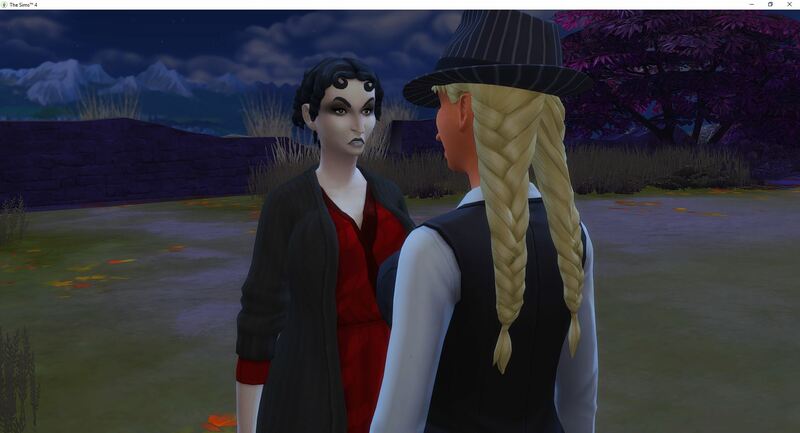 Voracity is not a vampire. She is human. 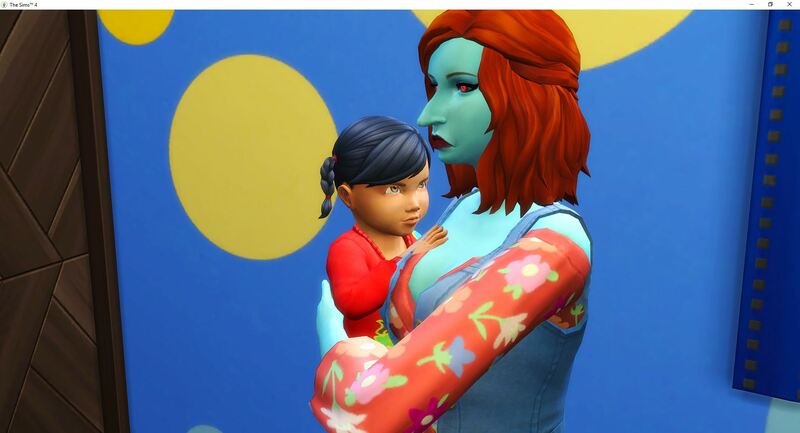 She is the most adorable little monster of the bunch. 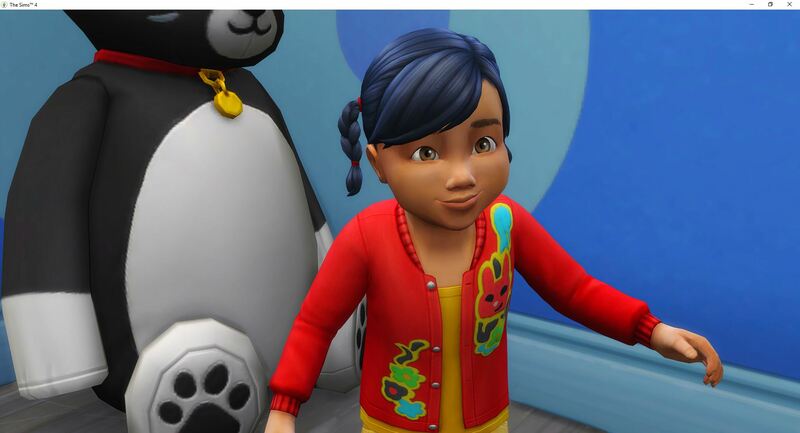 I was hoping for red hair, but she picked up the black hair from Desire’s normal form. 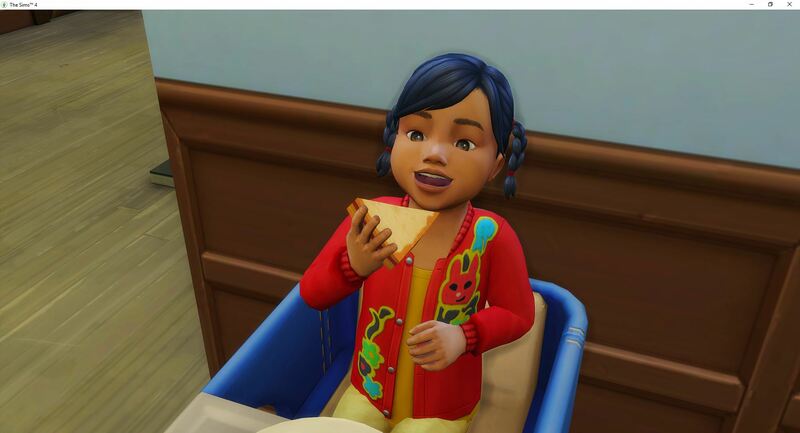 However, she is an independent toddler. 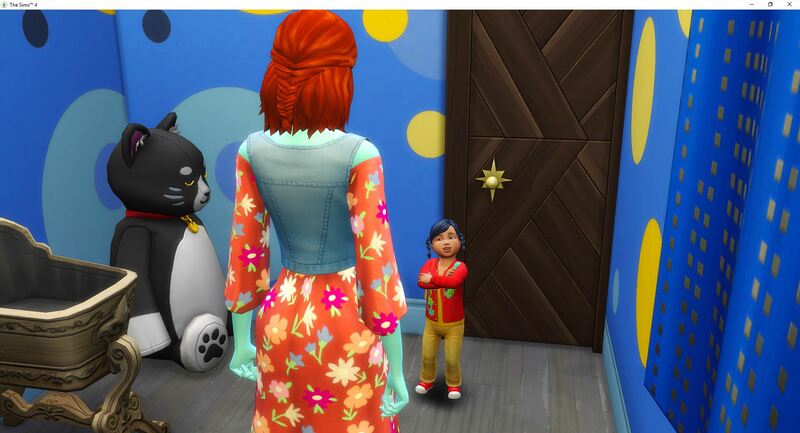 Desire wants to begin her potty training immediately, because potty training is important. 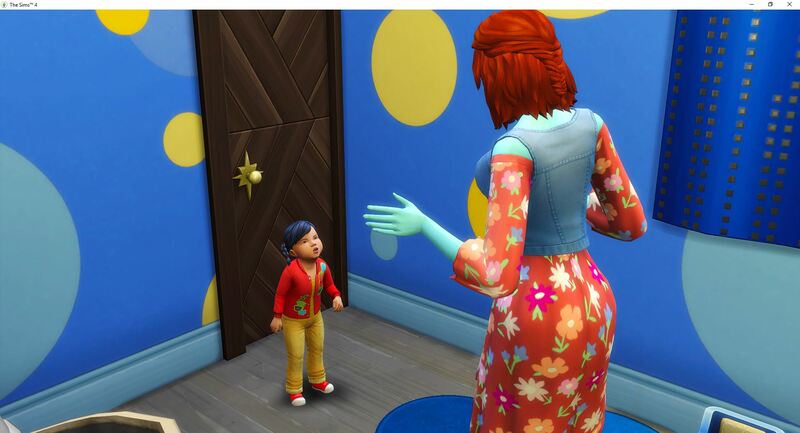 Voracity does not want any help learning to potty. She can learn to potty all by herself. Right after she pouts because someone she never met has died. 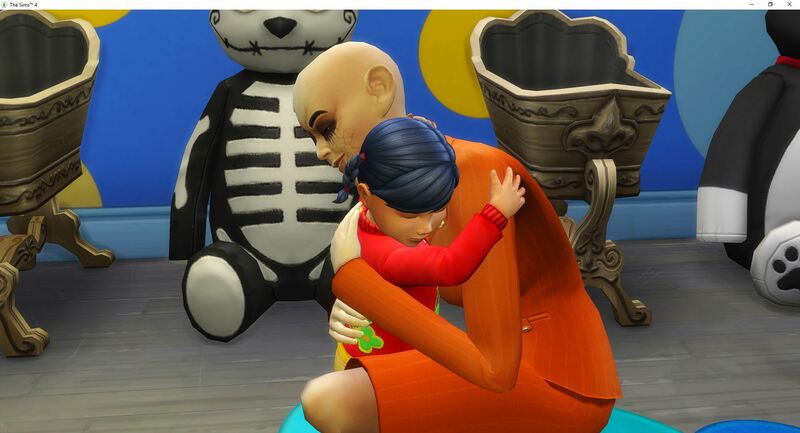 Before she begins teaching herself to potty, Vanity needs to hug away the sadness. Vanity is the only one in the house that knows how to do that. 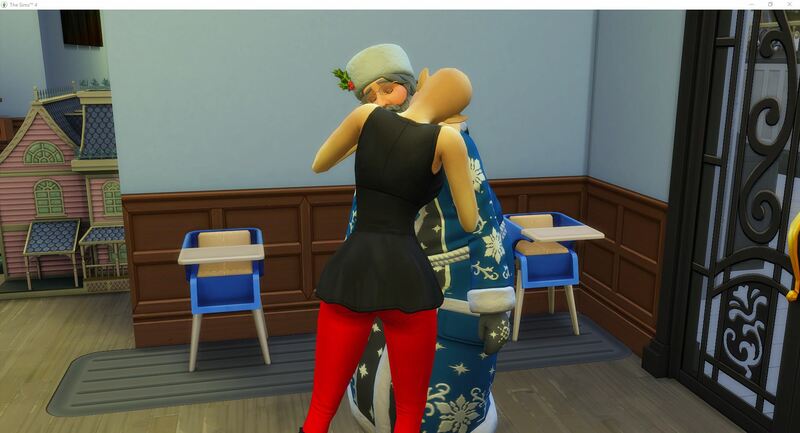 As she is hugging away the sadness, Avarice and Larceny pop into the nursery to check on Voracity. Then Desire joins them. 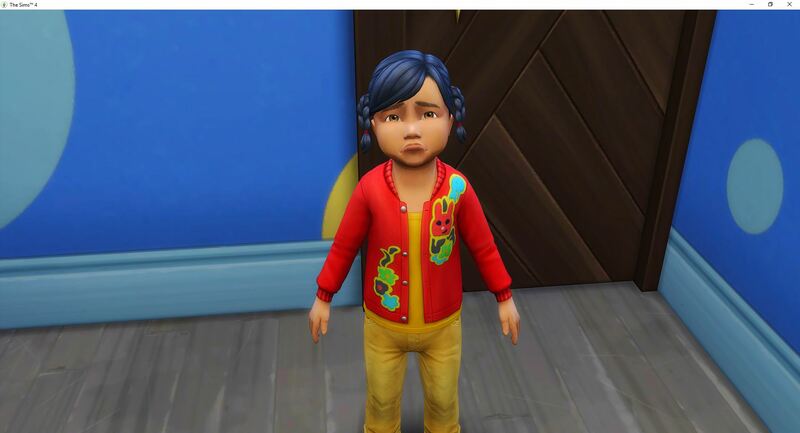 Sad toddlers call to everyone in the house. Oh, there is Malice. The only reason Venom didn’t pop in is because he can’t pop in. And he is headed out the door to work. Now that Voracity has everyone together – she is ready to make her demands known. Food is very important and must be provided immediately. 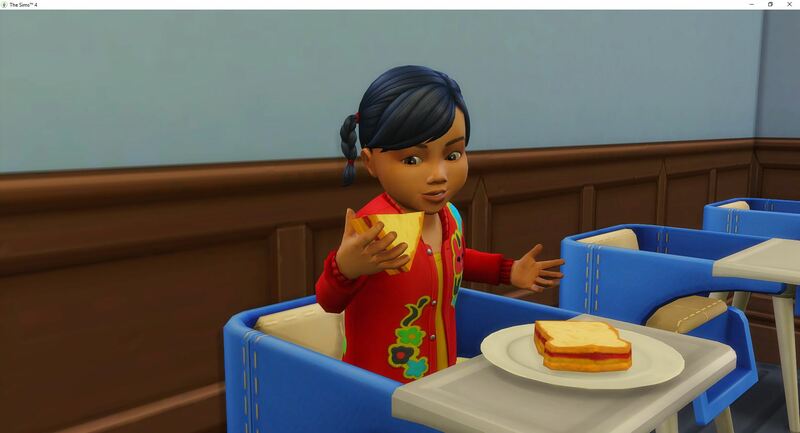 At that everyone poofed away, leaving Vanity to take her to the high chair and give her a peanut butter sandwich. 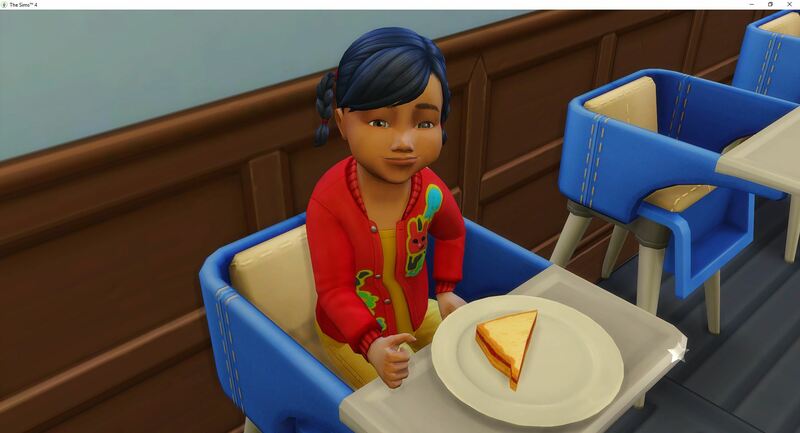 Of course, as soon as Vanity gave her the sandwich, Larceny popped in to take her out of the high chair before she could eat it. 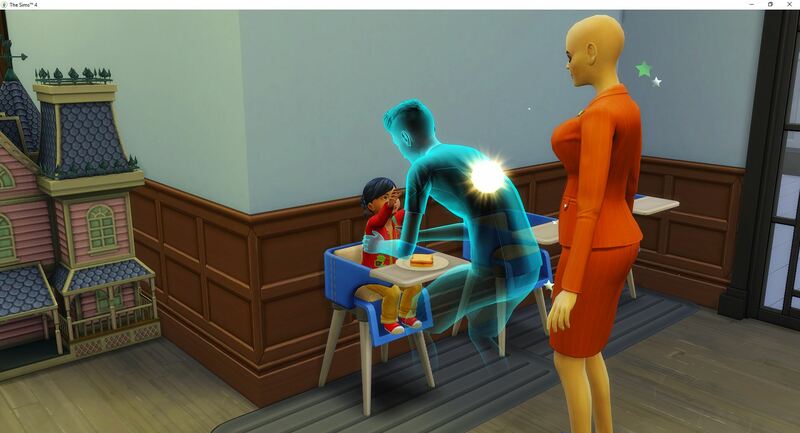 And then Vanity put her back in the high chair. 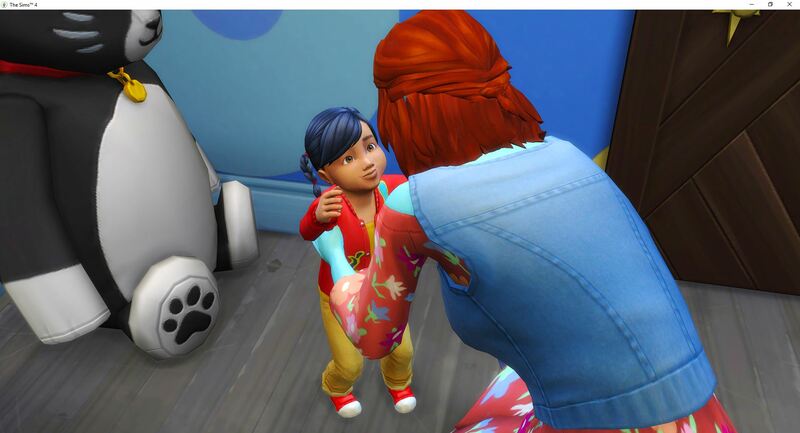 Independent toddlers don’t make the best decisions and aren’t that good at knowing their limits. And maybe stacking up several potty sessions before letting her go to bed was excessive. 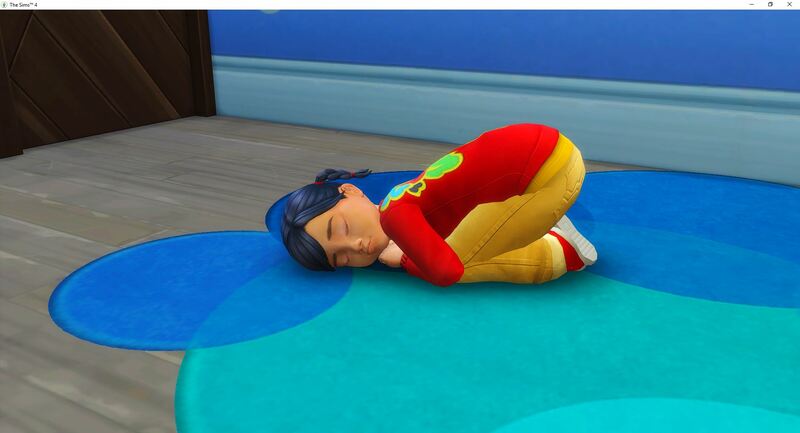 Larceny is there when she wakes up from the floor to read her to sleep in an actual bed. She is really angry because she has Low Fun, Low Energy, and Low Attention. 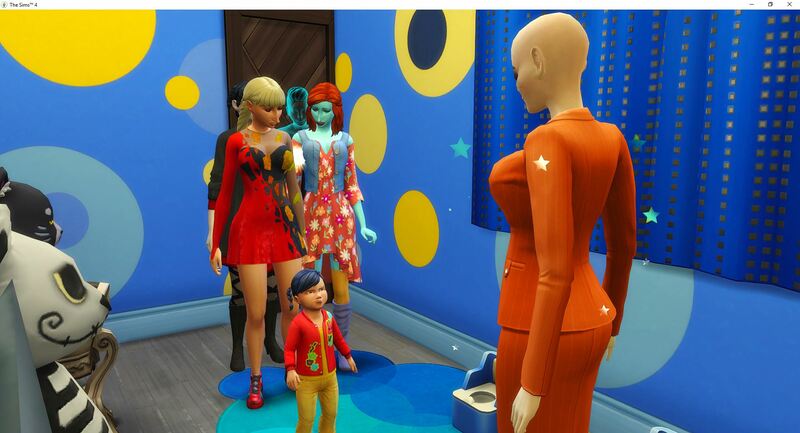 Apparently independent toddlers don’t really want to be independent. They just want to tell everyone that they can do it themselves while still having an audience.